A few days later, on April 21, Detective Ken Munson struck gold. Search warrant in hand, he decided to investigate the Treasure Island address Gilkey had provided. Munson rang the bell, but no one answered. He used a key he had obtained from the apartment’s management office, and as soon as he opened the door, he knew he was in the right place. 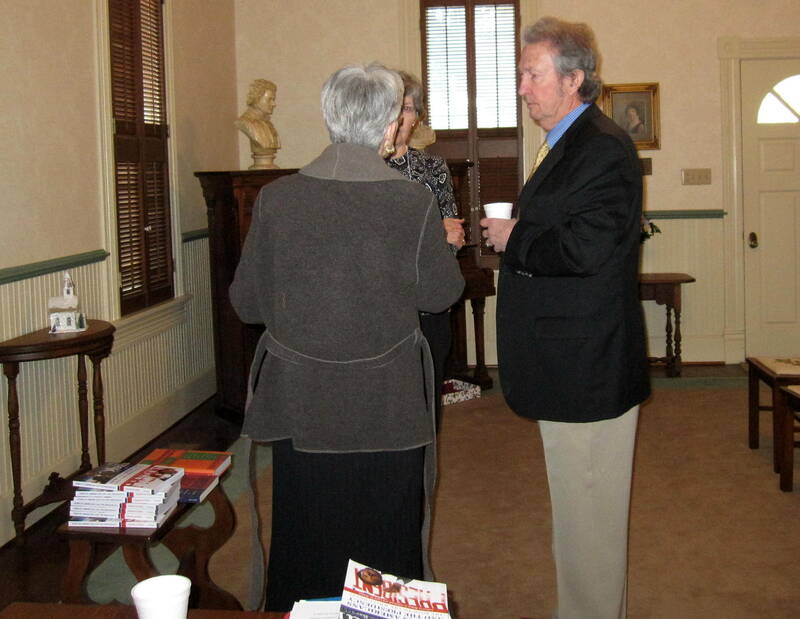 The address was indeed Gilkey’s, and every surface was covered in books. Moving through the dreary, government-subsidized three-bedroom apartment, Munson and his three accompanying officers found books in the kitchen, on the bookshelf, in the bedroom, on counters, on dining room chairs. Some of the oldest items were an illuminated leaf from a Book of Hours, circa 1480, encased in a plastic sleeve; a land deed from 1831; and a signature of Andrew Jackson. 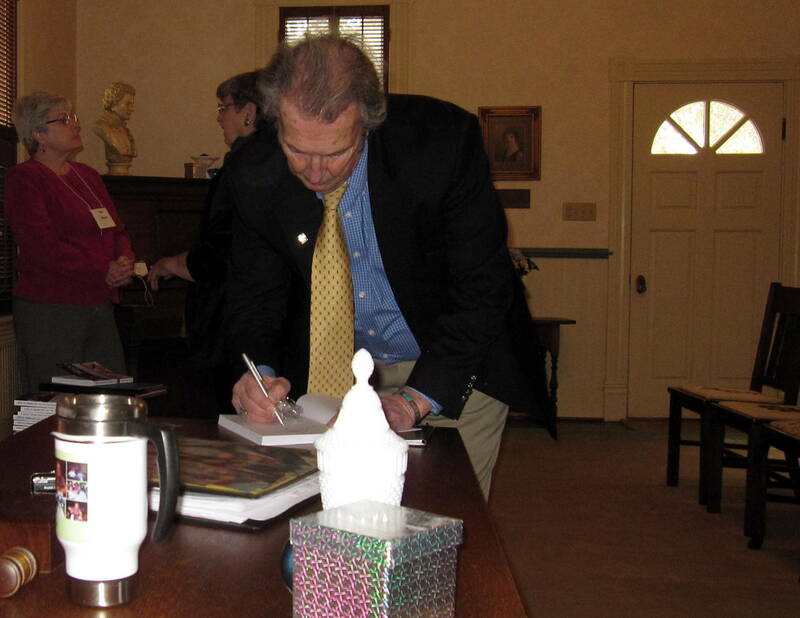 Along with the books were coin collections, stamps, documents, baseball cards, posters, and autographed photographs. There were also books, advertisements, and articles throughout the apartment related to these items and their value. The officers found what appeared to be shopping lists of book titles and authors. They also found receipts for hotels, and cards and papers with the names of auction houses and bookstores, several of which Munson recognized as having been victims of fraud within the past three years. Receipts for various hotels and travel documents were also among the goods. It appeared that both John Gilkey and his father, Walter Gilkey, were living in the apartment and in John’s bedroom they found a manila envelope with Saks Fifth Avenue credit receipts and pieces of paper with credit card holders, credit card numbers, and expiration dates handwritten on them. 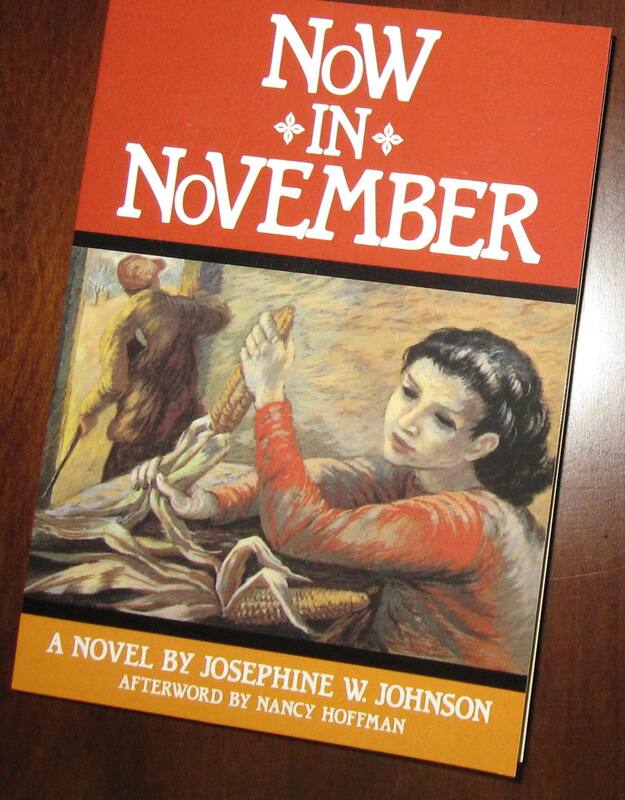 Now in November, written by Josephine W. Johnson, was first published in 1934. 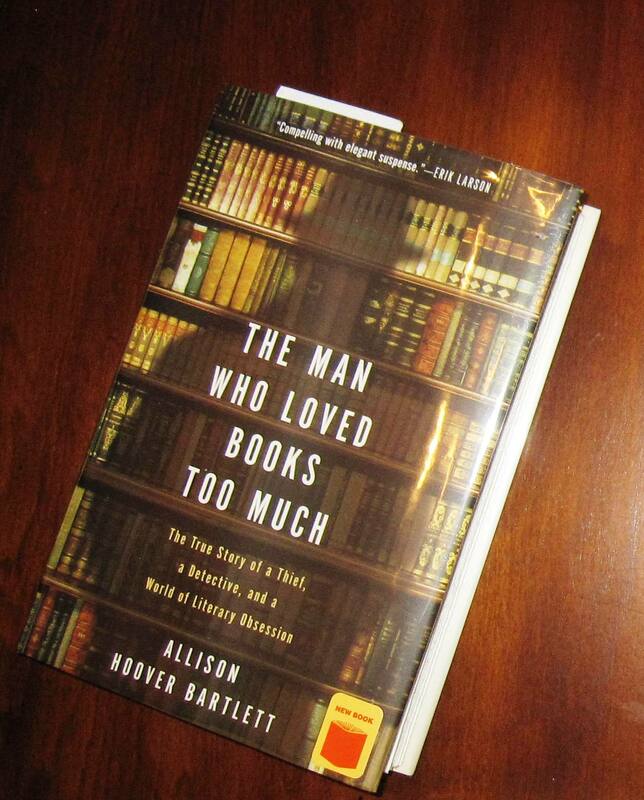 My edition was published in 1991; I’m just now getting around to reading it (“so many books, so little time!”). It was an old place and the land had been owned by Haldmarnes since the Civil War, but when we came no one had been living there for years. Only tenant farmers had stayed awhile and left. Josephine Johnson, a novelist and nature writer whose first novel, ”Now in November,” won the 1935 Pulitzer Prize for fiction, died of pneumonia on Tuesday in Clearmont Mercy Hospital, Batavia, Ohio. She was 79 years old and lived in Mount Carmel, Ohio. Miss Johnson wrote 10 books of fiction, poetry and essays. ”The Inland Island,” published in 1969, is a month-by-month record of nature’s year on her 37-acre farm in Ohio. It was praised by Edward Abbey in The New York Times for its ”delicate marvels, compassionate observations and – strangest and lovliest of all – passionate denunciations.” The work has been credited with helping to popularize ecological concerns. 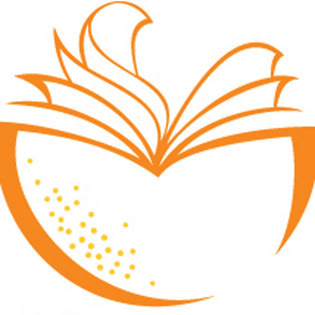 Miss Johnson’s other books were ”Year’s End” (1937), ”Wildwood” (1946), ”Jordanstown” (1937), ”Winter Orchard and Other Stories” (1935), ”The Sorcerer’s Son and Other Stories” (1965), ”The Dark Traveler” (1963), ”Seven Houses: A Memoir of Time and Places” (1973) and ”Circle of Seasons” (1974). In recent years Miss Johnson wrote for Country Journal, McCall’s and Ohio Magazine. She married Grant G. Cannon, editor in chief of the Farm Quarterly, in 1942. He died in 1969. Miss Johnson is survived by two daughters, Annie Cannon of Camptonville, Calif., and Carol Cannon of Philadelphia; a son, Terrence Cannon of Hoboken, N.J., and two sisters, Majorie McConnell of Fanwood, N.J., and Florence Johnson of St. Louis. 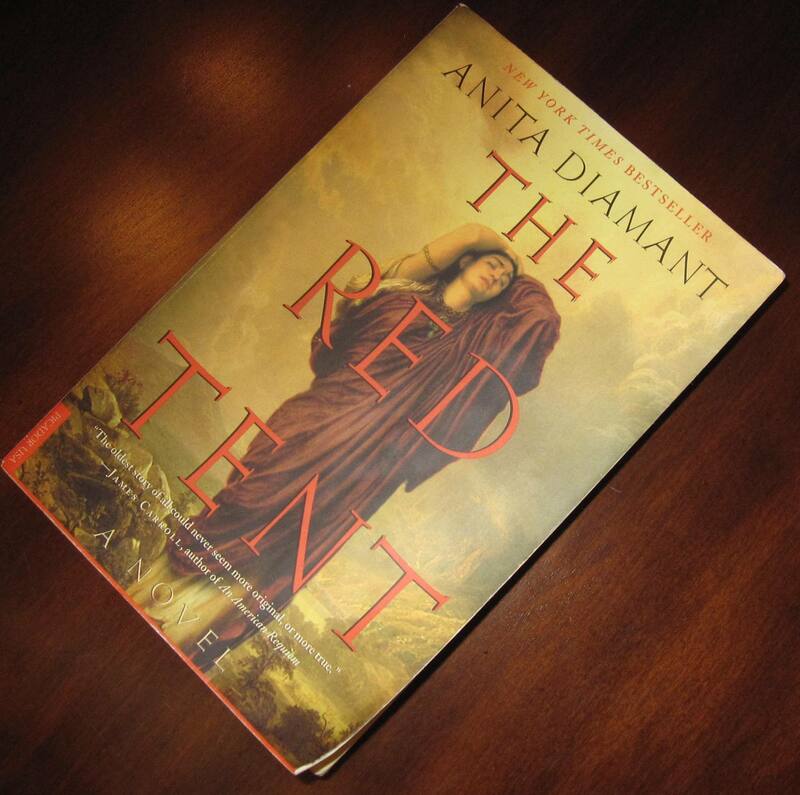 Although The Red Tent was published years ago and my Reading Friends encouraged me to read it, I never did. Recently, I borrowed the book from a New Friend (a delightful and spiritual friend) and can’t imagine why I had passed it by all these years (The Red Tent was first published in 1997). I do not remember my father’s formal greeting or the ceremony to present my brothers, one by one, and then the gifts, and finally my mothers and me. I saw only her. The Grandmother–my grandmother. She was the oldest person I had ever seen. Her years proclaimed themselves in the deep furrows on her brow and around her mouth, but the beauty of youth still clung to her. She stood as erect as Reuben and nearly as tall. Her black eyes were clear and sharp, painted in the Egyptian style–a pattern of heavy black kohl that made her appear all-seeing. Her robes were purple–the color of royalty and holiness and wealth. her head covering was long and black, shot through with gold threads, providing the illusion of luxurious hair, where in fact only a few gray strands were left to her. The book is fiction as Anita Diamant tells readers; however, Diamant has studied Jewish culture and history and her descriptions are quite vivid. The ‘red tent’ itself is a piece of fiction that the author invented, an illustration of the separation of women. The story is fiction, and while it differs from the scriptural account in many ways, it was true to the essence. There are two very marked differences, one of which I won’t reveal. The other is that Dinah doesn’t disappear after the events at Shechem, as she does in scripture. 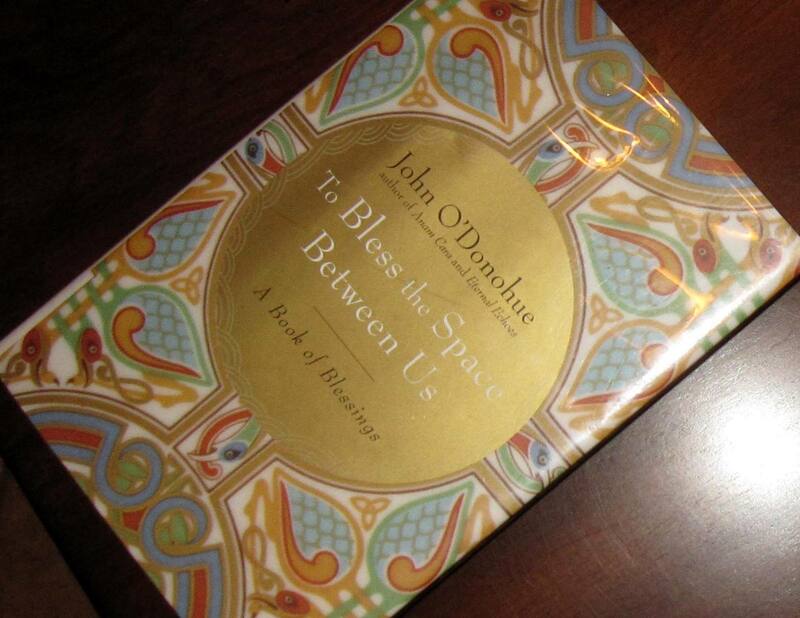 I think that anyone interested in either religious or social history would find this book fascinating. I found it involving and evocative. I liked all of the characters, except for those who were decidedly unlikeable, and would most enthusiastically recommend it. It’s a heck of a good read. Anita Diamant, the daughter of two Holocaust survivors, was born on June 27, 1951, in New York City. She spent much of her early childhood in Newark, New Jersey, before moving to Denver, Colorado, at age twelve. She attended the University of Colorado for two years, then transferred to Washington University in St. Louis, Missouri, where she received a bachelor’s degree in comparative literature in 1973. She went on to earn a master’s degree in English from the State University of New York at Binghamton in 1975. She settled just outside Boston, where she lives with her husband and teenaged daughter, Emilia. 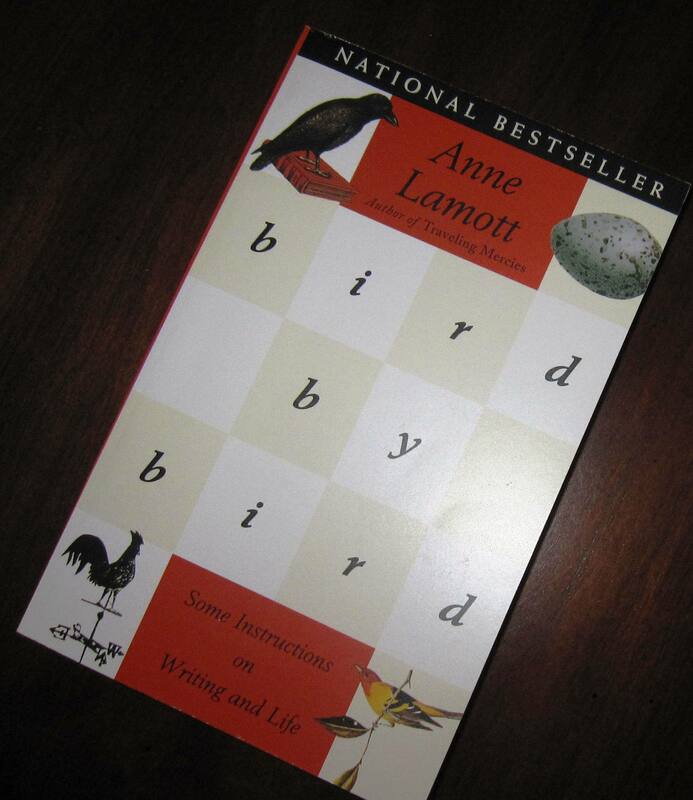 Diamant began her career as a freelance journalist in the Boston area in 1975. Over the years, she has written for local, regional and national magazines and newspapers, including the Boston Phoenix, the Boston Globe, and Boston Magazine, as well as New England Monthly, Yankee, Self, Parenting, Parents, McCalls, and Ms. In 1985, she began writing about contemporary Jewish practice and the Jewish community, publishing articles in Reform Judaism magazine, in Hadassah magazine, and on the webzine http://www.jewishfamily.com. She has also written seven handbooks on contemporary Jewish life and lifecycle events. Interviewers ask famous writers why they write, and it was (if I remember correctly) the poet John Ashbery who answered, “Because I want to.” Flannery O’Connor answered, “Because I’m good at it,” and when the occasional interviewer asks me, I quote them both. Then I add that other than writing, I am completely unemployable. But really, secretly, when I’m not being smart-alecky, it’s because I want to and I’m good at it. I always mention a scene from the movie Chariots of Fire in which, as I remember it, the Scottish runner, Eric Liddell, who is the hero, is walking with his missionary sister on a gorgeous heathery hillside in Scotland. She is nagging him to give up training for the Olympics and to get back to doing his missionary work at their church’s mission in China. And he replies that he wants to go China because he feels it is God’s will for him, but that first he is going to train with all of his heart, because God also made him very, very fast.
. . . My deepest belief is that to live as if we’re dying can set us free. Dying people teach you to pay attention and to forgive and not to sweat the small things. What is Nick Hornby reading? 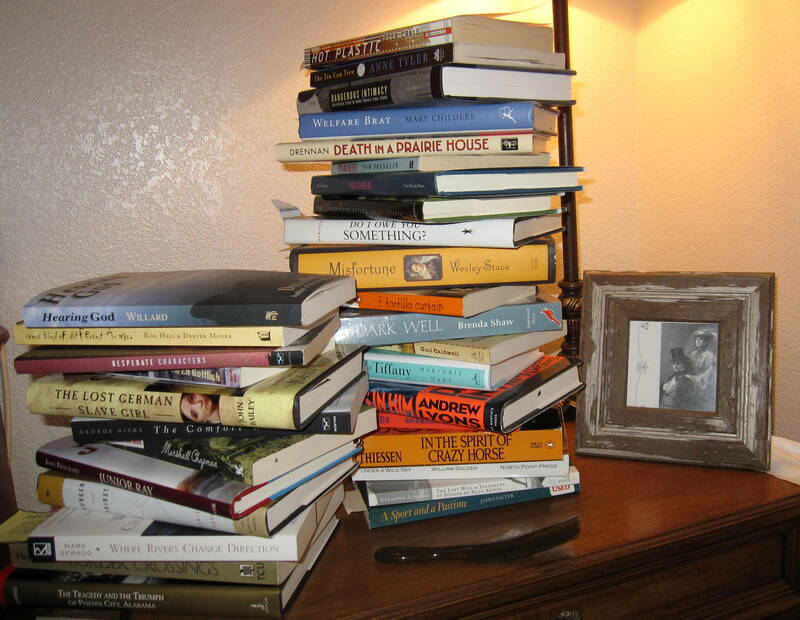 Even writers have piles of unread books, it seems. My pile (in one of the rooms!) has dwindled. Having discovered Ron Carlson (only this year), I am anxious to read his next novel . . . and his next . . . and his next. The Signal and Five Skies are books I borrowed from our Seguin library and which I will be reading again (so quite likely, these books will grace my bookshelves in the future – over Hubby’s objections, I might add).